When will be The Business of Life next episode air date? Is The Business of Life renewed or cancelled? Where to countdown The Business of Life air dates? Is The Business of Life worth watching? Introducing a new kind of talk show from VICE News. 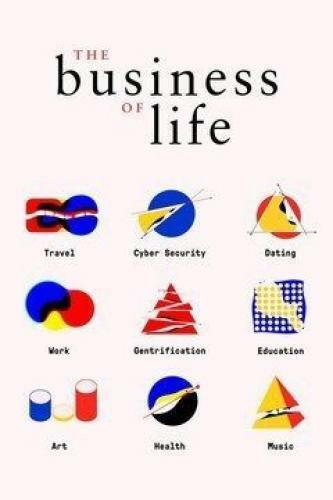 The Business of Life is a fresh perspective on the most important issues of our time, as told through the facts, figures, dollars, and cents that shape our world. Hosted by journalist Michael C. Moynihan, each episode brings together an eclectic panel of writers, thinkers, policy experts, and scholars to break down everything you need to make sense of the most complicated topics of our time. The Business of Life next episode air date provides TVMaze for you. EpisoDate.com is your TV show guide to Countdown The Business of Life Episode Air Dates and to stay in touch with The Business of Life next episode Air Date and your others favorite TV Shows. Add the shows you like to a "Watchlist" and let the site take it from there.